Prime Minister Narendra Modi hailed Finance Minister Arun Jaitley for presenting an all-friendly Budget with the main focus on agriculture, health and small businesses. He said this budget is farmer-friendly, common citizen-friendly, business environment-friendly and development-friendly. 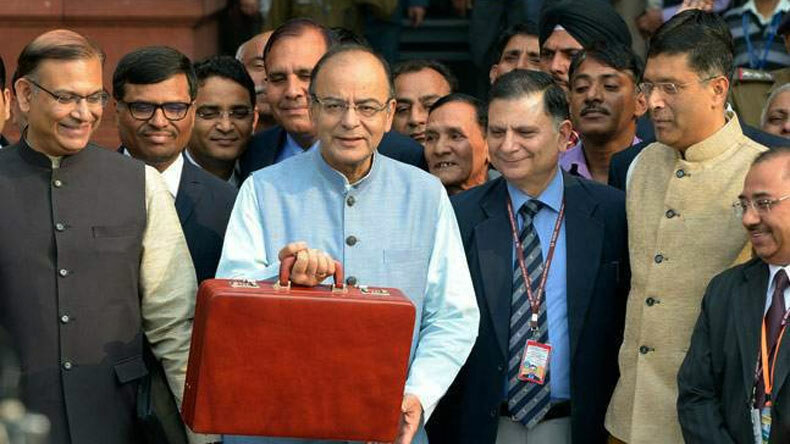 Finance Minister Arun Jaitley presented the Union Budget for 2018-19 in Parliament on Thursday. He started his speech by praising various initiatives taken by the NDA government for the welfare of people. He announced comprehensive healthcare schemes with maternal and child services, free essential drugs and diagnostics. Prime Minister Narendra Modi hailed FM for presenting an all-friendly Budget with the main focus on agriculture, health and small businesses. “This budget is farmer-friendly, common citizen-friendly, business environment-friendly and development-friendly,” Modi said in his first reaction after Jaitley presented the Budget in the Lok Sabha. “Along with ease of doing business, there is also a focus on ease of living.” However, the budget wasn’t very well received by the financial markets in India. Social media was flooded with reactions from prominent political personalities. While BJP leaders seemed to be hailing the Budget and calling it a ‘Pro-Poor’ Budget, opposition decided to stay on the other side and bashed the Finance Ministry’s decision under PM’s leadership. This is a historic & pathbreaking budget for a #NewIndia ! Poor, farmers, women, youth, senior citizens are biggest beneficiaries. Health and infra sector will get a big boost! An inclusive #NewIndiaBudget focusing on ‘Sabka Saath, Sabka Vikas’. I thank PM @narendramodi ji & congratulate FM @arunjaitley ji for presenting #NewIndiaBudget which gives impetus to ‘Ease of Living’ of citizens. #Budget2018 is pro village, pro poor & pro growth. It will empower all sections of society & further ignite our growth engine signalling the dawn of prosperous future. #Budget2018 Lack of Government's commitment to women's empowerment, the pink cover for the Economic Survey notwithstanding, is reflected in the fact that the gender budget has fallen from 0.68% to 0.65% of GDP.